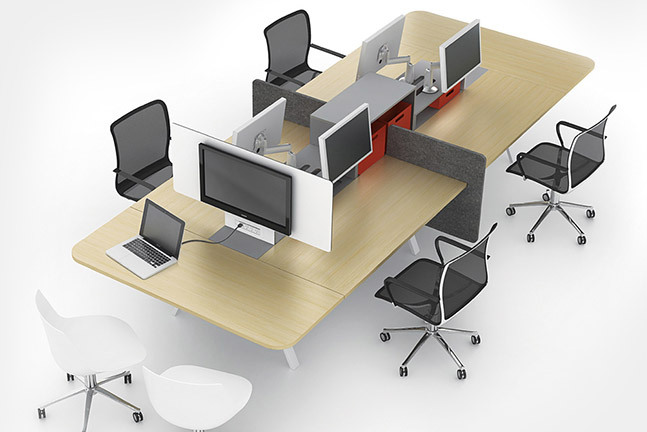 Focus: Designs that encourage focused work and increased privacy in small, shared spaces, high-back lounge configuration, or open plan. 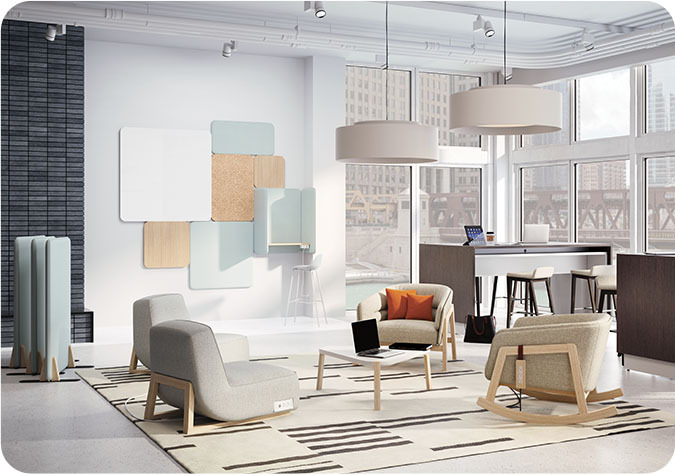 Collaborative: Designs that encourage impromptu gatherings, brainstorm huddles, and stimulating discussions. Learn: Designs that promote training, education, and development of employees. Adaptive: Designs that can expand with a growing team and adapt to fit your changing needs. 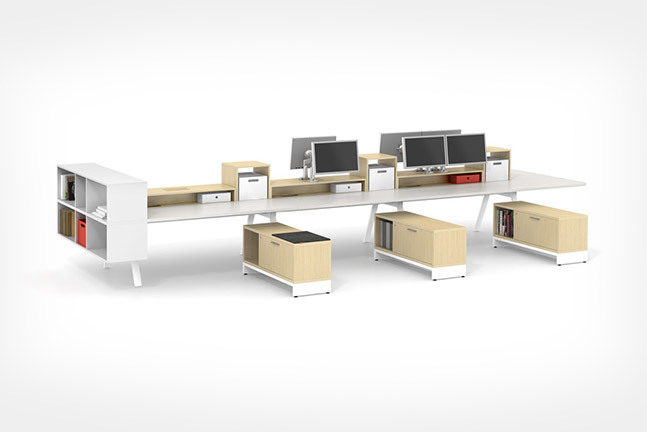 Balance: Workstations should be designed for employees to easily shift from individual tasks to shared team tasks, and support efficiency and productive communication. Thriving spaces provide an ideal balance between collaboration and individual achievement. Custom: If you can dream it, we can make it. We can design and fabricate furniture tailored to your exact needs and wants. Business changes faster than the infrastructure that supports it. Today’s workplace needs products that support a wide range of planning strategies and can adapt to an undefined future. 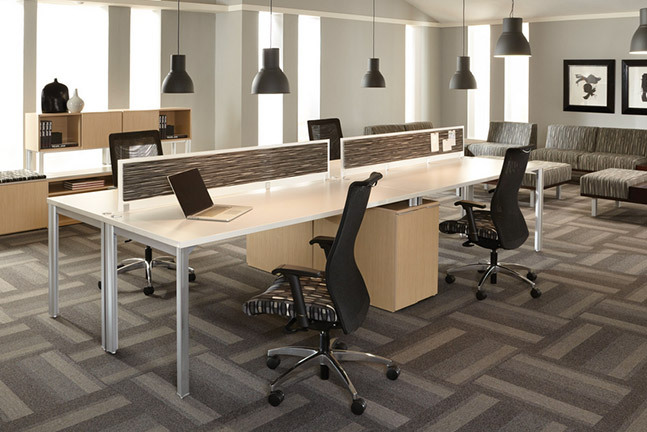 ESP Business Furnishings provides furniture solutions for the agile workspace of tomorrow. 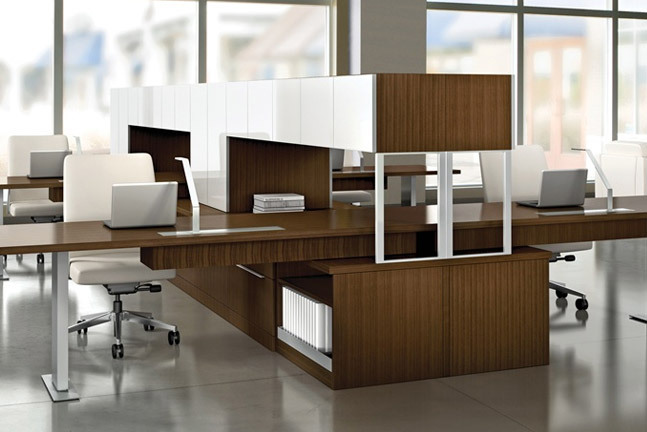 A well-designed workstation can increase employee effectiveness and satisfaction. 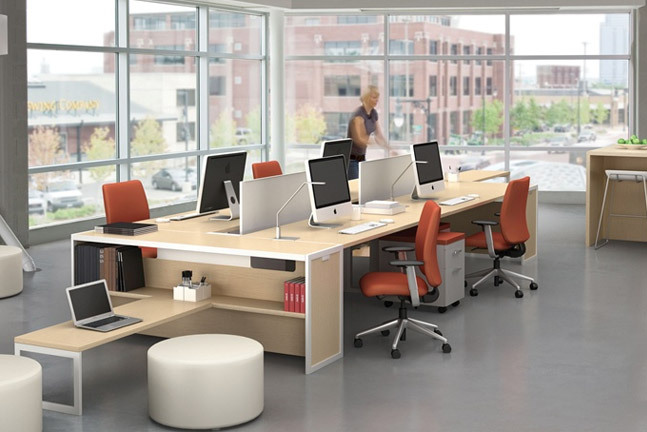 Whether you’re looking for completely open, transitional, or semi-private workstations, ESP Business Furnishings has a workstation solution to meet your business needs to increase capacity, collaboration, efficiency, storage, or space. Our high-quality products are designed to bring out the best in your staff and space. Our knowledgeable designers offer free consultations and custom layouts. As a family-owned business with a 30 year history, ESP Business Furnishings understands how to make your furniture work for you. Contemporary: Technological integrations and softer geometric lines create a clean, yet welcoming, aesthetic that’s fresh, subtly sophisticated, and nuanced.